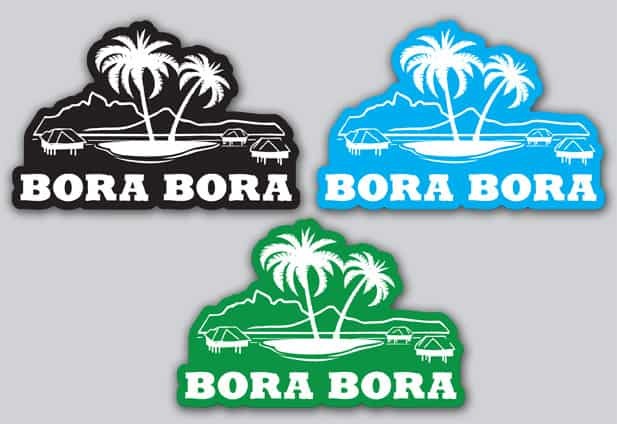 Also known as the Pearl of the Pacific, Bora Bora is one of the most beautiful places on earth. A popular bucket-list vacation and honeymoon destination that meets all expectations. There’s something magical about this little Tahitian island in the middle of the South Pacific with its luxurious overwater bungalows and incredible lagoon with seven shades of blue. When people see pictures of this island paradise it’s almost hard to imagine that it’s real – but it is! My wife Jessica and I first visited Bora Bora on our honeymoon and we loved it so much that we created this travel guide website to help people like you with planning your next vacation or honeymoon. We know it can be a significant investment to stay at the popular resorts in an overwater bungalow with a glass floor, but in our opinion, it’s worth the expense if you’re looking for a genuinely memorable and romantic island getaway. Thankfully Bora Bora has something for everyone as there are a many private pensions and vacation rentals available if you’re looking to save money. There are a variety of daytime activities in Bora Bora such as swimming with sharks, fishing, parasailing, or taking a 4×4 off-road tour to explore the island and its rich history. You can also enjoy exciting adventures circling the island by jet ski or flying above it in a helicopter. Bora Bora can be exciting, or as laid back as you want, most resorts can help coordinate an excursion if you don’t happen to make arrangements beforehand. Whether your stay is on a cruise ship that is passing through French Polynesia or you’re residing in a thatched-roof hut over the lagoon, the main town of Vaitape is close by and is a favorite place to shop for exotic black pearls or wooden tiki’s local to the Society Islands. Bora Bora also has some world famous restaurants including Bloody Mary’s and the exclusive La Villa Mahana that are worth checking out. The Tahitian hospitality is incredibly inviting and kind, but the island vibe is relatively quiet with no night life. So if you’re looking to party then, unfortunately, this isn’t the destination for you. People come to Bora Bora to escape the City life and relax at the resort spa or on white sand beaches while unwinding in the sunshine with a tropical cocktail. One of the most passive yet unique experiences includes enjoying watching the clouds form and magically disappear over Mt. Otemanu, the tallest peak on the island. The incredible colors and fantastic views are what make Bora Bora Island so special and why it attracts visitors from all over the world. We hope the information here will give you an idea of where to stay, what activities to try, and where to eat. Feel free to contact us if you have any questions. We’re excited about your trip and who knows, we may even see you there!